You are an RTI Dealer and Programmer and you just want to combine a couple of flags and maybe test an integer value against a set point or even another integer value. What do you do? You can do nested IF/THEN statements for the flag tests but the integer tests were not possible UNTIL NOW. Have you ever wanted to combine Flags and Integer variable tests? 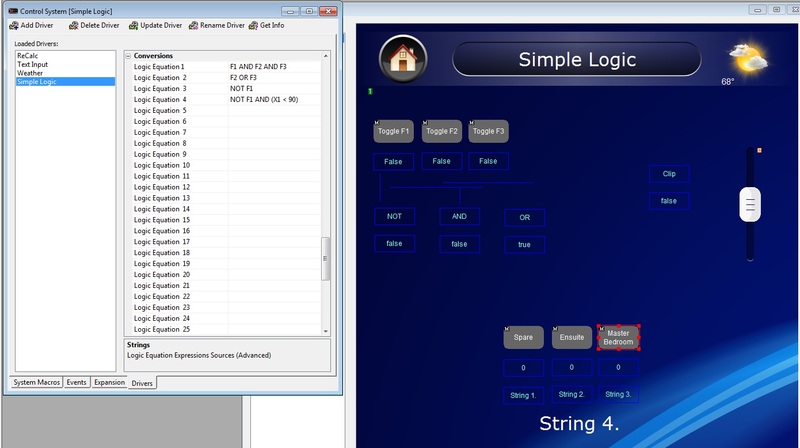 Use Simple Logic Driver!